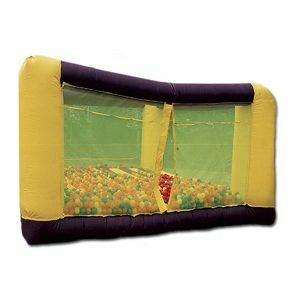 NY Party Works offers inflatable ball pit rentals for your event, party, or celebration. Ball pits have been entertaining children since their inception in the mid-1970’s. Ball pits continue to be very popular at children’s parties. Most people have fond memories of this fun and colorful rental. NY Party Works has ball pit rentals, also known as ball ponds, available to rent for your next party, so you can make memories for your own children and their friends. 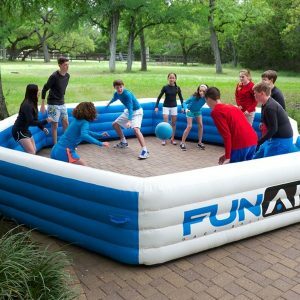 This fun interactive is also a bouncy inflatable that can be set up inside or outside. We are properly insured and all rentals include staff for making sure your rental is safe. 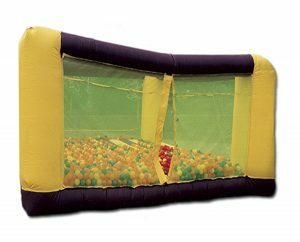 If you are planning a family-friendly corporate event, a ball pit rental will be the main attraction for families with younger kids. NY Party Work’s ball pond is also known as the “legendary ball pit.” Not only is it a pall pit but it is also a bouncy inflatable, making it a two-in-one investment. It is sure to be a hit at your next event! NY Party Works has been in business since 1993. We offer rental services and are permitted all throughout New York, New Jersey, Connecticut & Nationwide. Our team is up to date with the latest licenses and schooling on safety and equipment. All rentals include the appropriate number of staff members to ensure your guests’ safety. NY Party Works is fully insured. We carry $6 million in insurance coverage. You can trust NY Party Works to help you make your next party, event or celebration memorable.